Okay, so maybe this one is a stretch. 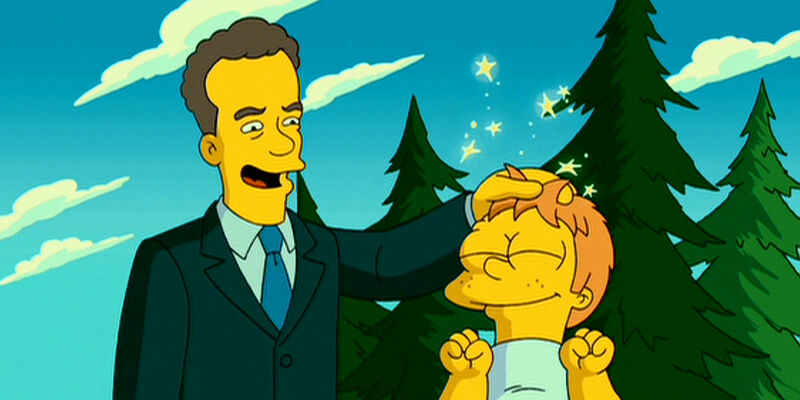 But Hanks’ brief appearance in The Simpsons Movie remains one of the most memorable parts of a film that that was received with overall praise. The bit smartly, if predictably, plays off the common perception of Hanks, as a person you would unconditionally trust to watch your kids. His reputation as a political activist and all around good guy, ones that's been firmly established over the years, is sent up very nicely here. The film cements its subversion in a brief post-credits sequence that features Hanks pleading with audiences to leave him be when they see him in public.